The survey involved 50 centres comprising both hospital and community psychiatric care services throughout Italy. Overall, 2620 patients were recruited, and of those 2002 (76%) completed the Somatoform Disorders Schedule (SDS), a CIDI-derived interview. The NOS somatoform disorders (SDs) diagnosis appeared to be the most common (60%) (and they showed the highest number of co-morbid diagnoses), followed by pain disorders (8%). The prevalence of undifferentiated somatoform and hypochondriactal disorders was 1.6%: older age groups showed a tendency towards higher rates of the latter. 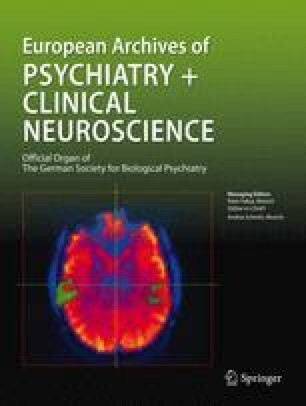 In general, the study found that a significant percentage of patients with SDs are referred to psychiatric services, but mainly because of other psychopathological problems: in fact, somatic complaints are cross-sectionally present in different psychiatric nosological categories. This study also emphasizes some limitations of the current classification of SDs.